On Friday, September 28th, Downeast Lakes Land Trust is pleased to welcome author Carey Kish, as he presents his latest, updated version of the Maine Mountain Guide. The presentation will begin at 6 pm in the Grand Lake Stream School Building. 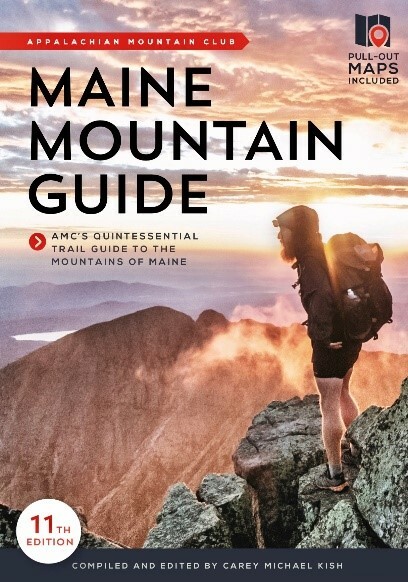 The Maine Mountain Guide, published by the Appalachian Mountain Club, is the only comprehensive hiking guide to the mountain trails of Maine, an essential companion for outdoor enthusiasts since 1961. This newest edition was two years in the making and has been painstakingly revised, updated and expanded by author/editor Carey Kish, who will lead us on a journey of discovery from Acadia National Park to Aroostook County, Maine’s White Mountains to Washington County. Carey’s informative and entertaining talk will highlight many new hikes, the best of local hikes near you, as well as some old favorites. The new Maine Mountain Guide includes more than 175 new trails on 50 “new” mountains, thereby increasing the remarkable variety of hiking possibilities available for every interest and ability level. In all, 625 trails are described on 300 mountains, a hiking bounty totaling close to 1,500 miles, and ranging from easy woodland walks to moderate hill climbs to strenuous mountain traverses. Full-color topographic sheet maps covers 7 popular hiking regions, while 22 topographic maps within the text complement the trail descriptions. After time for questions and answers, signed copies of the Maine Mountain Guide will be available for purchase. Start your own hiking journey here with this new great guide, then go and savor time well spent in the Maine woods. 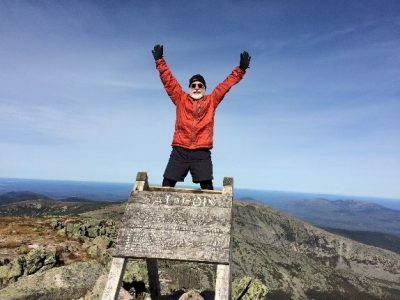 Carey Kish is veteran hiker, outdoors and travel writer, photographer, Registered Maine Guide and certified funmeister. Kish has completed some two-dozen long distance trails in the United States, Canada and Europe, including the 2,189-mile Appalachian Trail from Georgia to Maine (once in 1977 and again in 2015), the 1,100-mile Florida Trail in 2017, and has plans to tackle all 2,650 miles of the Pacific Crest Trail from Mexico to Canada in 2019.